On any given night, the crowd at Owen’s Fish Camp is overflowing. Could it be the rustic charm of a renovated 1920’s Florida cottage? Could it be the selection of fresh seafood? Could it be the reasonable prices? Yes, yes, and yes. Whatever the reason, the appeal is broad, the food is good, and the atmosphere is fun. Going to Owen’s is more than just dining, it is a complete experience. 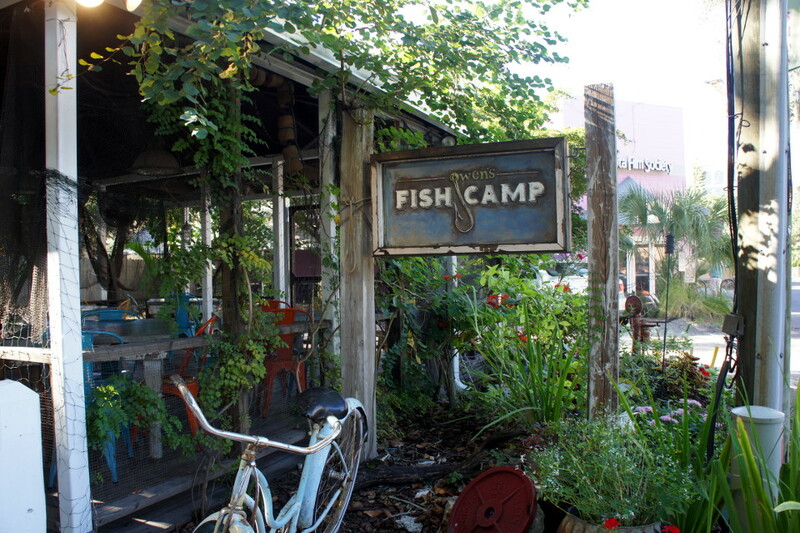 Take a 1920’s Old Florida styled cottage, maintain its charm, add a seafood theme and some 1950’s/1960’s nostalgia and you get the concept behind Owen’s Fish Camp. Owned and operated by the Caragiulo brothers, a Sarasota restaurant family, Owen’s Fish Camp has captured the essence of simple seafood dining; all in an historic downtown setting. Smooth, smoky flavor not too overpowering; a nice simple starter. A very nice rendition of the classic Cobb salad. Fresh, colorful, flaky fish, full of great flavor and texture combinations. Surprisingly filling. Instead of fried shrimp, we chose grilled shrimp. A great value! Loved the grilled romaine—it was warm and charred on the outside with nice colors, yet cold and crispy on the inside. The shrimp was fresh with a slight crunch. Very tasty and full of shredded Parmesan cheese. A very simple presentation, very fresh, great color and moist. Fresh, flaky, almost sweet-tasting fish. The sides were fresh, crisp and well-portioned. I just love Owen’s colorful and crunchy succotash. Such a seafood classic. The oysters were crunchy and deliciously sweet with good flavor and texture. If you are an oyster lover and want to indulge, this is the dish for you. An interesting combination of scallops and pork. At first I was uncertain about this combination, but it works very well together. Smoky, sweet goodness. To accompany your meal, Owen’s offers and adequate selection of beer, wine, and soft drinks. The wait staffs are friendly, fast, and efficient. Since reservations are not accepted and the restaurant is on the smaller side, there usually is a wait for a table. Planning a dinner early or late can help alleviate the wait. 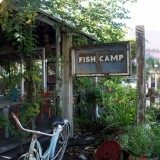 Owen’s Fish Camp, “Old Florida” styled seafood dining, worth the wait. Since Owen’s Fish Camp is small and does not take reservations, we recommend calling ahead of time to check on the wait. In addition, Owen’s offers patrons, the Hearing Loop — a device that allows those who are hearing impaired to hear much better at noisy places like restaurants.